In the previous article we learned what Milk Thistle is, how this amazing herb works in the body to help prevent/correct illness, and we familiarized ourselves with its history in the medical establishment throughout the generations. In the following text we will review several of Milk Thistle’s most promising applications, while providing some real-world examples of individuals who have been successfully treated under medical observation. Although most associate Mike Thistle with the liver, science has afforded a vast number of possible health benefits to the use of this herb, which should be acknowledged before narrowing our focus to its effects on the liver. In addition to the various liver disorders, such as damage caused by chemicals (steroids, alcohol, acetaminophen, chemotherapy, etc), Amanita phalloides mushroom poisoning, jaundice, chronic inflammatory liver disease, cirrhosis, and chronic hepatitis, Silymarin has also shown promise in treating diabetes, cancer, and in improving the cholesterol profile. This wide range of potential applications has not failed to grab the attention of the world-wide medical community, prompting further research into these areas of interest. Before discussing some of these potential applications, let’s first address the controversy surrounding Silymarin’s effectiveness in the treatment of liver conditions. While it is true that inconsistent study results have caused some to dispute the effectiveness of Silymarin, it should be noted that these discrepancies are due in large part to poor study design, which includes dissimilarities in dosing, duration of treatment, the use of non-standardized Silymarin/Silybinin products, and an insufficient number of test subjects. In addition, many who point to these inconsistent results as proof of ineffectiveness have ignored several other relevant variables capable of changing the outcome of treatment, such as the severity of poisoning, the patient’s condition at the on-set of treatment, how much time had elapsed between initial exposure to a toxin/drug and the initiation of treatment, and the patient’s compliance with study parameters, etc. Obviously, these variables can play a big role in the seriousness of one’s condition and directly impact the ability of Silymarin to effectively treat the condition/disease. 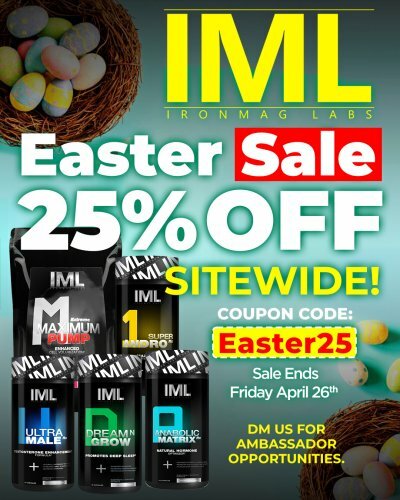 Ignoring these variables when making a determination of effectiveness would be akin to conducting a study in which the test subjects were administered 1 mg of testosterone per day and then concluding that testosterone is ineffective for building muscle. Or…beginning cancer treatment after the cancer has metastasized and then claiming conventional treatments aren’t effective. When the available literature data is evaluated as a whole, it becomes extremely difficult, if not impossible to deny that Silymarin has many beneficial applications in the treatment of various liver conditions. One of the original uses for this compound, and which effectively demonstrates Silymarin’s hepatoprotective effects, is found in the treatment of Amanita mushroom poisoning (death cap mushrooms). Let’s look at some of the evidence. When we look at animal studies using mice as test subjects, Silymarin was shown to be 100% effective in preventing liver toxicity when administered within 10 minutes of Amanita toxin exposure. If administered within 24 hours, severe liver damage was avoided. In another study involving dogs, none of the dogs died after being given a substantial dose of Amanita toxin when they were treated within 5-24 hours of exposure. In comparison, the un-treated dogs experienced a 33% mortality rate and those that did not die experienced a much greater degree of liver damage. While the success rate is not quite as high in humans as it is in animals (again, likely due to poor study design), its hepatoprotective effects has been repeatedly demonstrated under a variety of circumstances. In a 1995 study involving 41 people, the group treated with Silybinin (a Silymarin derivative) experienced a 100% the survival rate. In another study involving 18 people, all of whom had been treated with Silybinin, only one person, who had been exposed to a particularly high dose of the toxin, died. Another unique report involves a family of 4, who consumed these mushrooms after they mistook them for another, edible type. They were later admitted to the hospital with severe liver poisoning. After 3 days of being treated with the standard therapy, they liver function continued to deteriorate, leaving them in grave condition. As a last ditch effort the attending physicians decided to experiment with Silybinin, which resulted in a rapid improvement of all vital health markers and an eventual resolution of the problem. These are just a few of the many positive outcomes resulting from that Milk Thistle therapy in this capacity. In the next study we find researchers evaluating the hepatoprotective effects of Silymarin in rats, which were directly subjected to anabolic steroid-induced liver damage. The rats were divided into 4 groups. One group received methandrostenolone (D-bol) in conjunction with Silymarin, while another group received only methandrostenolone. 2 groups served as the control, receiving neither methandrostenolone nor Silymarin. After 8 weeks liver function was evaluated in all 4 groups. The results show that liver function was impaired to a much greater degree in the steroid only group in comparison to the rats which had been treated with methandrostenolone & Silymarin. Silymarin has been shown in multiple studies to have beneficial effects on various types of liver injury, such as drug & toxin induced hepatotoxicity, alcohol liver disease, and acute and viral hepatitis. Many of these conditions result in the elevation of particular liver enzymes, which is a direct sign of liver damage, disease, or inflammation. Therefore, one of the first steps in detecting liver damage is to test for the elevation of these enzymes through physician monitored blood work. The two most common are the aminotransferases, which include aspartate aminotransferase (AST/SGOT) and alanine aminotransferase (ALT/ SGPT). Under normal conditions these enzymes remain within the cells of the liver, but when the liver is damaged these enzymes are released into the bloodstream, where they can be picked up through bloodwork. Silymarin therapy has been shown in numerous clinical trials to reduce both ALT and AST levels considerably beyond what was achieved with placebo alone, indicating an improvement in liver function. This is a direct effect of Silymarin’s hepatoprotective/rejuvenating effects. There are a few published case reports which describe the use of milk thistle as a treatment and/or adjunctive therapy in individuals with cancer. One of these reports details the use of Milk Thistle in a 34-year-old female afflicted with Leukemia, the point of which was to determine if the Milk Thistle’s hepatoprotective effects would be sufficient to counteract the toxic effects of the primary treatment. Previously, the patient’s primary therapy consisted of treatment with methotrexate and 6-mercaptopurine, which required intermittent breaks in order to avoid excessive elevation of liver enzymes. After 4 months of concomitant treatment with Silymarin, liver enzymes had returned back to normal, allowing the patient to continue on with the primary treatment uninterrupted. In a 4 week double-blind, placebo-controlled trial designed to evaluate Silymarin’s effectiveness in reducing liver enzymes, 50 children undergoing chemotherapy were randomly assigned to receive either Silymarin or placebo after being diagnosed with elevated ALT & AST. At the conclusion of the study, the group receiving Silymarin showed a significant improvement in AST levels, along with somewhat reduced ALT levels. Compelling reports such as this confirm the potent hepatoprotective effects of Silymarin against drug & toxin induced liver damage. In a large, long-term treatment study funded by the National Institute of Diabetes, 1,145 people diagnosed with hepatitis C, who had failed prior antiviral therapy, were placed on a subsequent therapy with the goal of reducing the progression of the disease. Nearly 25% of the patients were self-administering some form of herbal preparation at the time of admission, in an effort to treat their disease. Of these, over 70% were using Silymarin. An in depth evaluation revealed that users experienced significantly fewer symptoms and a better quality of life than non-users. In one of the largest observational studies ever conducted, 2,637 patients with chronic liver disease were provided with 560 mg of Silymarin per day for an 8 week period. Study results revealed a decrease in ALT, AST, and GGT levels, indicating hepatic recovery. Similar results were witnessed when another group of individuals with chronic liver disease were evaluated for improvements in liver function. This randomized, placebo-controlled study showed a marked reduction in serum ALT, AST, and bilirubin after one month of treatment, once again suggesting hepatic recovery. In the reference guide listed below, you will find additional clinical trials supporting the use of Silymarin for its hepatoprotective/rejuvenating effects. In clinical studies, Silymarin has typically been dosed at 400-800 mg daily. When standardized to 80% silymarin, one would need to administer 500-1,000 mg of Milk Thistle Extract in order to obtain 400-800 mg of pure Silymarin. Although standardized extracts are by far the most popular form of Milk Thistle in use today, powdered seeds can be used as an alternative. In order to obtain 400 mg of Silymarin with powdered seeds, one would need to consume roughly 25 mg daily, making this method of administration impractical for most. Silymarin can be administered either orally or intravenously and while both methods have proven effective, injectable Silymarin performs slightly better in some areas than the oral version. However, the difference is fairly negligible and can be compensated for by administering a slightly higher dose of oral Silymarin, making this a non-issue. Regarding dosing frequency, Silymarin is best administered 2-3 times daily in equally divided doses. Milk thistle is generally well tolerated. Occasionally, users have reported non-serious side effects related to digestive stress, such as stomach ache, nausea, diarrhea, and bloating. Allergic reactions are rare, but have occurred in some users. There are no known contraindications with milk thistle. However, those using protease inhibitors and non-nukes may need to adjust their dosage downward, due to Silymarin’s ability to increase blood levels of these medications through a decrease in the liver enzyme known as CYP3A4. As a final consideration, Silymarin’s potential estrogenic activity makes it unsuitable for use in women afflicted with estrogen-dependent conditions, such as breast cancer. A thorough investigation of Silymarin’s acute and sub-acute toxicity in animals reveals a very low degree of overall toxicity. Upon oral administration, no adverse effects were noted in mice given a full 20 grams/kg and in canines given 1gram/kg. These doses are 100’s of times higher than the dosing range found to be orally effective in humans. 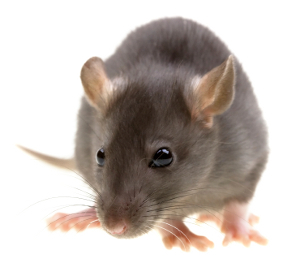 When administered intravenously, the 50% lethal dose for mice was reached at 400 mg/kg and 140 mg/kg in canines. While the lethal dose of intravenously infused Silymarin is significantly lower than the oral lethal dose, it is still dozens of times higher than the maximal oral dose used in humans. In general, Silymarin exhibits a very favorable safety profile. Check back for the final part in the series for a list of detailed clinical trials proving Silymarin’s effectiveness. 2. Vailati A, Aristia L, Sozzé E, et al. 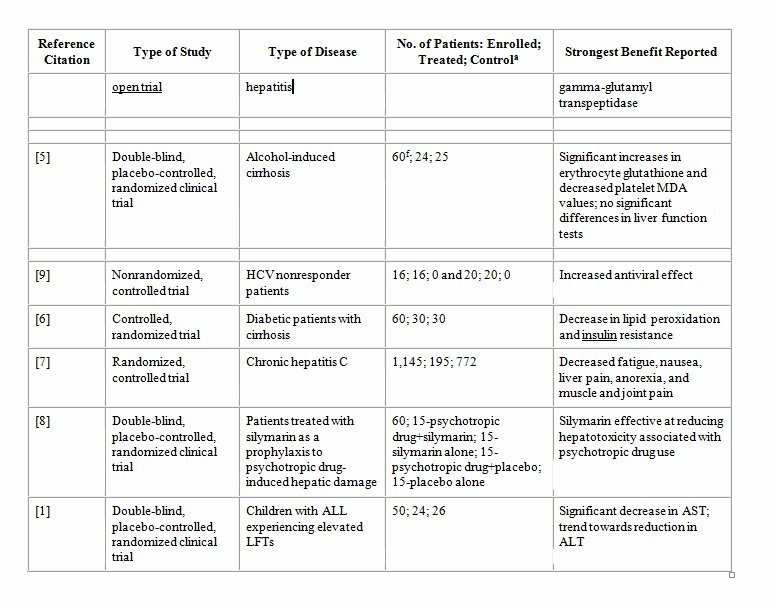 : Randomized open study of the dose-effect relationship of a short course of IdB 1016 in patients with viral or alcoholic hepatitis. Fitoterapia 64 (3), 219-28, 1993. 8. Palasciano G, Portincasa P, Palmieri V, et al. : The effect of silymarin on plasma levels of malon-dialdehyde in patients receiving long-term treatment with psychotropic drugs. Current Therapeutic Research 55 (5): 537-45. 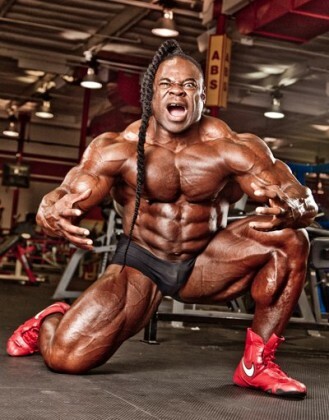 Kai Greene: The Buddha of Bodybuilding!